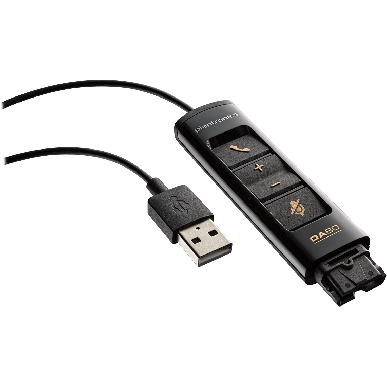 When you deploy softphones in your customer service center, Plantronics DA Series USB audio processors deliver a more complete audio experience by providing context for every call. The DA Series offers exceptional quality and control, and they also help you meet OSHA and Noise at Work specifications. With Plantronics and third-party software applications you will be able to communicate with intelligence and activate new experiences for your team and your customers. Plantronics DA80 USB to QD Adaptor with inline controls .